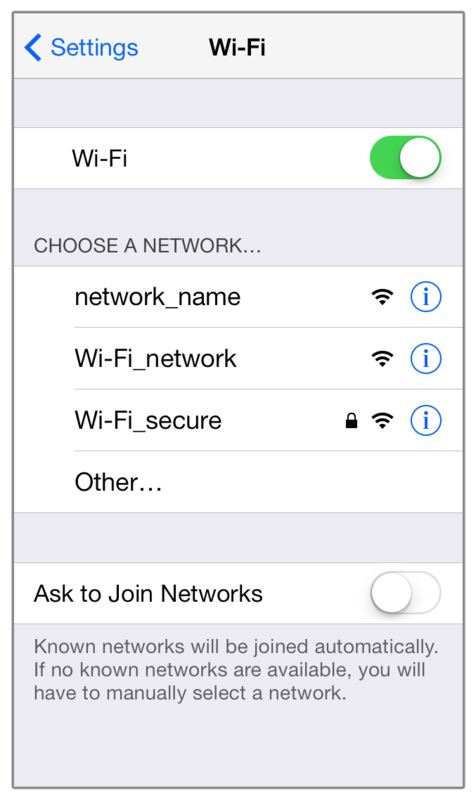 iOS: Connecting to Wi-Fi Learn how to connect your iPhone, iPad, or iPod touch to a Wi-Fi network, including open, secure, and hidden networks. Learn how to connect your iPhone, iPad, or iPod touch to a Wi-Fi network, including open, secure, and hidden networks. Wi-Fi is a technology that allows you to wirelessly connect to a local-area network. A Wi-Fi connection will allow you to browse the Internet, connect to the App Store and iTunes Store, and use many other features of your iPhone, iPad, or iPod touch. There are multiple ways one can configure a Wi-Fi network; here are ways to connect to the most common Wi-Fi network configurations. 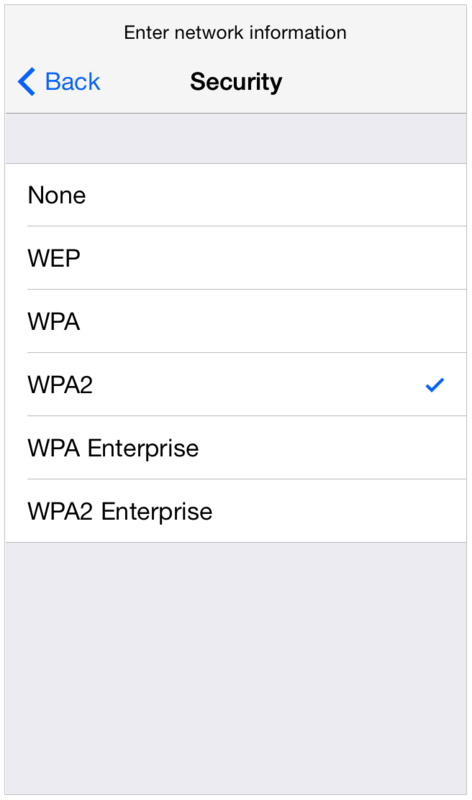 Tap the name of your desired Wi-Fi network. 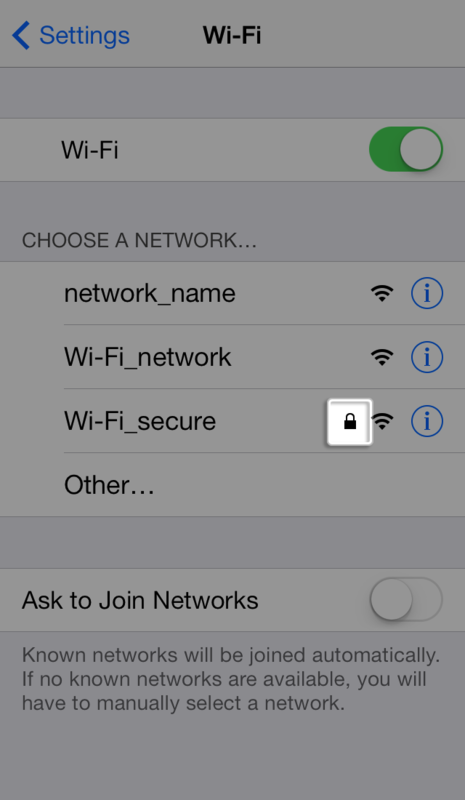 A password-protected network will have a lock icon to the right of the network's name. Note: If tapping Join has no effect, the password you have entered is too short. If you do not know the password to the secured network, please contact your network administrator. 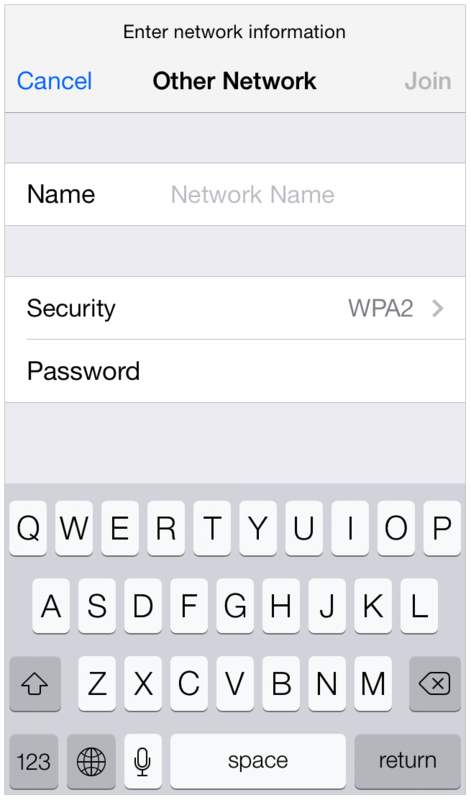 When your device is connected to a Wi-Fi network, a checkmark will appear to the left of the network name. The Wi-Fi logo will also appear in the status bar at the top left of your display. Tap Settings > Wi-Fi. 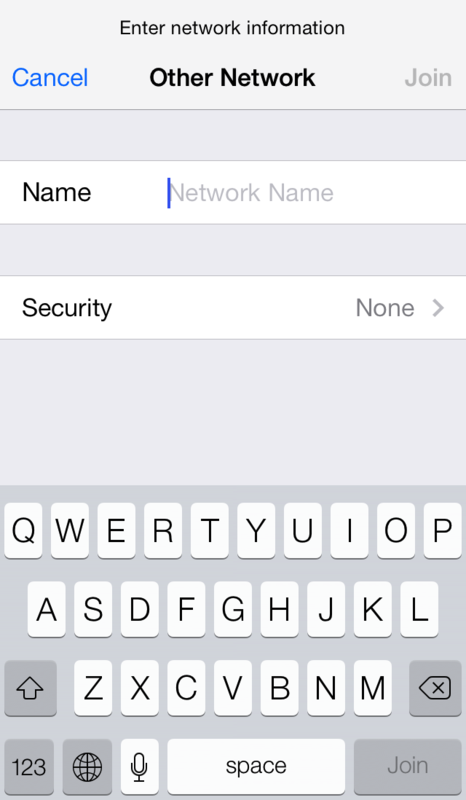 By default a hidden network will not appear in your available network list. Note: Not all hidden networks are secure. Please check with the network administrator if necessary. Choose the appropriate security type, and then tap "< Back" in the top left. 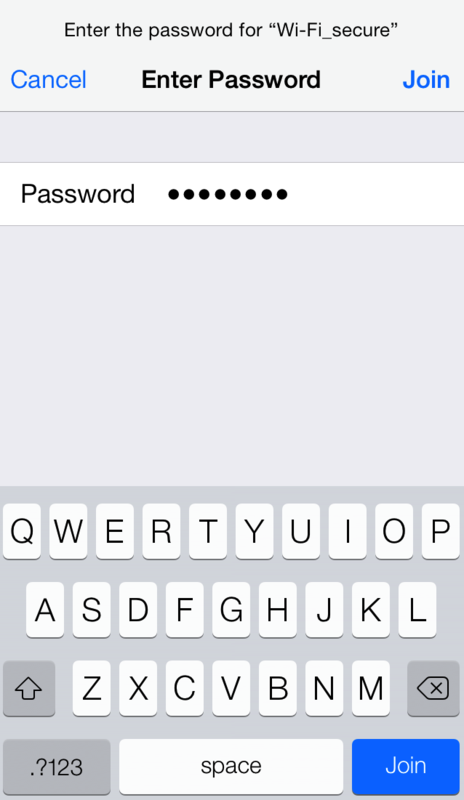 You will now be able to type the network password in the Password field. 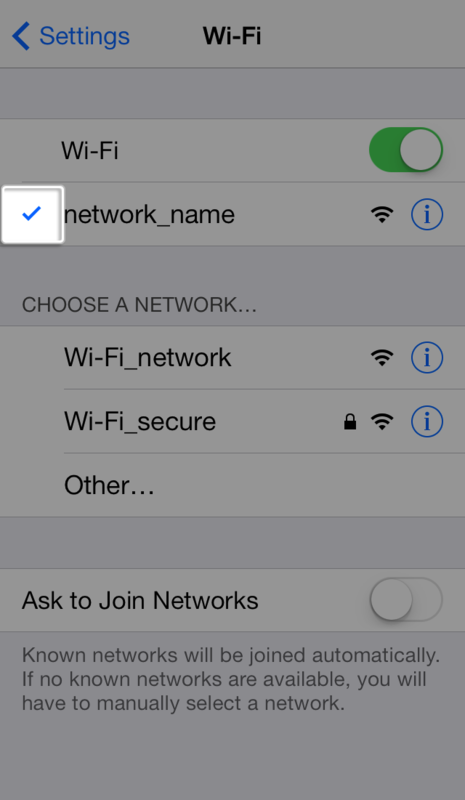 When your device is connected to a Wi-Fi network, a checkmark will appear to the left of the network name. The Wi-Fi logo will also appear in the status bar at the top left of the display.